“The U.S. is in a better position to ride through the tariff concerns because of a strong economy," one economist noted. The U.S. economy added 157,000 jobs during the month of July, indicating that the labor market remains largely unaffected by President Donald Trump's trade war — for now. 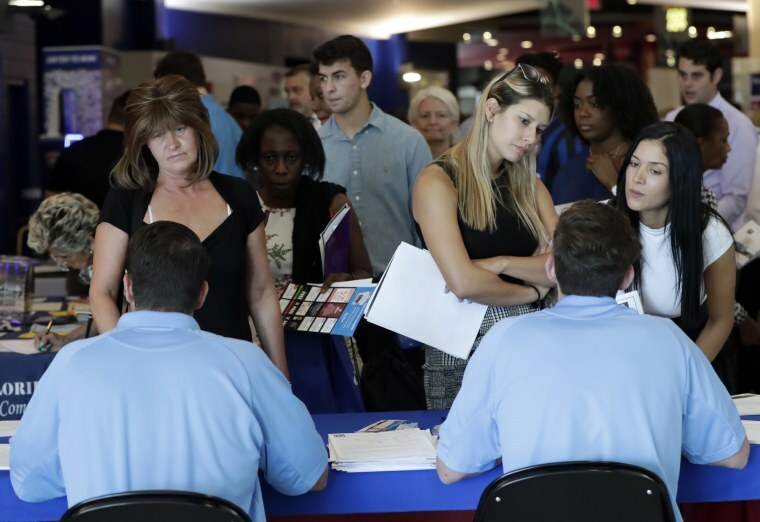 Friday's figures, released by the Department of Labor, also showed that the unemployment rate fell from 4 percent to 3.9 percent. Manufacturing jobs continue to dominate, hiring almost twice as many people as this time last year. Economists predict that Trump's punitive tariffs, which have set off various rounds of retaliatory taxes from America's trading partners, will eventually have a negative impact on the country's supply chain, stymie global growth, and bruise international trade relations. But for now, the president's $1.5 trillion fiscal stimulus plan and tax overhaul have shown success in keeping the labor market buoyant and the economy robust. The only sticking point remains wage growth, at just 2.7 percent. "It's giving us a sort of ‘Groundhog’s Day’ feeling," said Mark Hamrick, senior economic analyst at Bankrate. "With inflation running at a roughly 2 percent rate, that means that there’s not a lot of financial wiggle room for many Americans — even in the face of an economy that’s generally regarded to be robust." However, Trump-nominated Fed chair Jerome "Jay" Powell testified last month before Congress that tariffs had indeed harmed American companies.